Enjoyed the snorkeling tour a lot! Staffs were very helpful. As I couldn't swim so fast, they always checked me out and took my hand and showed me more interesting parts of the sea. There were always cooled water on the boat, and we ate lunch and fruits when we were having a rest at one beach of an island. The beaches of the small islands were stunning! We saw some monkeys on one of the islands too. It was such a wonderful day. Enjoy a day under the sun and out in the open seas with this full or half day snorkeling tour. 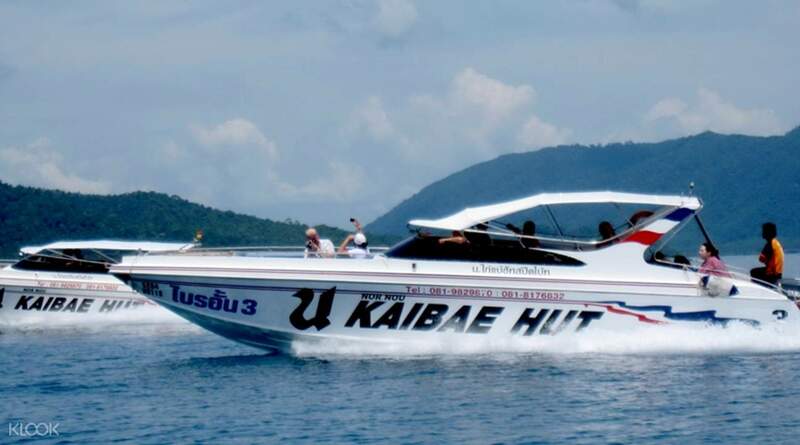 Get on the speedboat and explore 4-5 beautiful islands on Koh Chang National Marine Park, depending on the package you choose. Every island you'll visit is perfect for snorkeling, though not all are alike. Some have more corals; while others are filled with colorful fish. 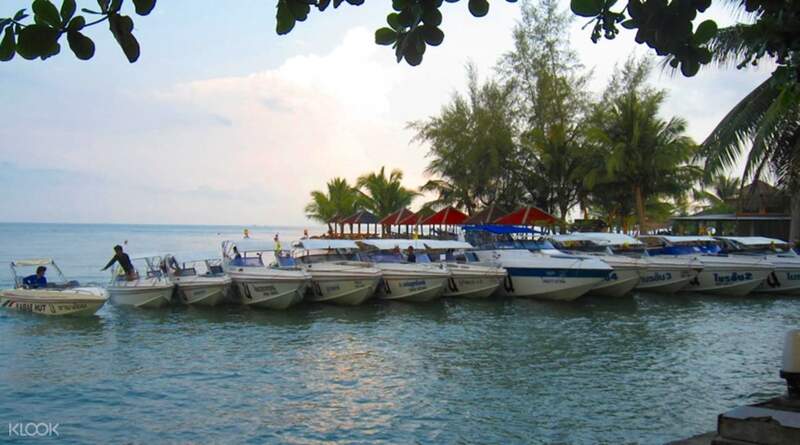 Nevertheless, each island has crystal clear waters that allow you to get up close to the abundant marine and coral life! Plus, if you choose the full day tour, you'll also get to indulge in a delicious local lunch - the perfect way to energize yourself for a full day of swimming and snorkeling! 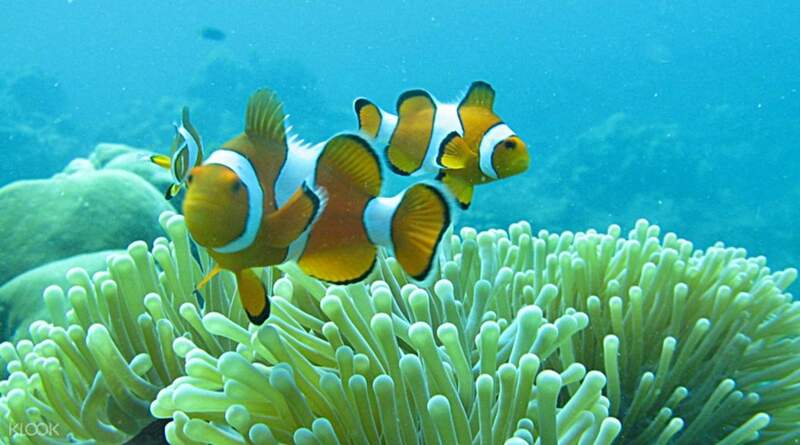 Snorkel in the crystal clear letters and get to see abundant marine and coral life! Nice snorkeling in my life, coach also passion, make a dream of beautiful island in Thailand. Nice snorkeling in my life, coach also passion, make a dream of beautiful island in Thailand. Enjoyed the snorkeling tour a lot! Staffs were very helpful. As I couldn't swim so fast, they always checked me out and took my hand and showed me more interesting parts of the sea. There were always cooled water on the boat, and we ate lunch and fruits when we were having a rest at one beach of an island. The beaches of the small islands were stunning! We saw some monkeys on one of the islands too. It was such a wonderful day. Enjoyed the snorkeling tour a lot! Staffs were very helpful. As I couldn't swim so fast, they always checked me out and took my hand and showed me more interesting parts of the sea. There were always cooled water on the boat, and we ate lunch and fruits when we were having a rest at one beach of an island. The beaches of the small islands were stunning! We saw some monkeys on one of the islands too. It was such a wonderful day. Absolutly beautiful day out. The staff was incredible helpful and friendly. Stunning island and amazing corals. Could not fault at all. Absolutly beautiful day out. The staff was incredible helpful and friendly. Stunning island and amazing corals. Could not fault at all. Excellent day out, prompt department and returned at stated time. Got a light lunch and fruit although wasn't supposed to be included. Beautiful Islands and loads of fish to be seen, both quantity and varieties of. Excellent day out, prompt department and returned at stated time. Got a light lunch and fruit although wasn't supposed to be included. Beautiful Islands and loads of fish to be seen, both quantity and varieties of. seamless online ordering and hotel pick up arrived on time ! seamless online ordering and hotel pick up arrived on time ! Value for money. We got good snorkeling points. Value for money. We got good snorkeling points. Very beautiful places, will go in next time. Very beautiful places, will go in next time. Nice trip. Small group, away from the crowd. Could be better if provide fins. Nice trip. Small group, away from the crowd. Could be better if provide fins. we had to book this 4times... the first time we got a wrong pick up time. the second time the driver didn't show up, the third time it got cancelled. and the fourth time we finally did the tour. the organisation was a little bit chaotic, the speed boat was too small for 10 people. the sea and the islands were beautiful and we saw a lot of fishes. but only 2 of 5 islands had a nice spotting of fishes... overall we had a bad experience and we wouldn't recommend it. we had to book this 4times... the first time we got a wrong pick up time. the second time the driver didn't show up, the third time it got cancelled. and the fourth time we finally did the tour. the organisation was a little bit chaotic, the speed boat was too small for 10 people. the sea and the islands were beautiful and we saw a lot of fishes. but only 2 of 5 islands had a nice spotting of fishes... overall we had a bad experience and we wouldn't recommend it.